1. Soak fresh white clams for about 2 hours with a little salt. 2. Bring water to a boil. 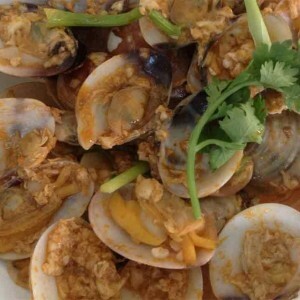 Put the clams into the water and cover the wok let it boiled till all the clams open up. Scoop up the clams and set aside. 3. 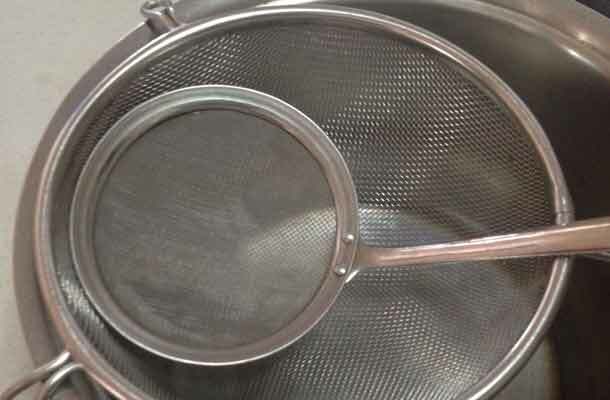 Use very fine strainer (see picture) to drain the clams stock. 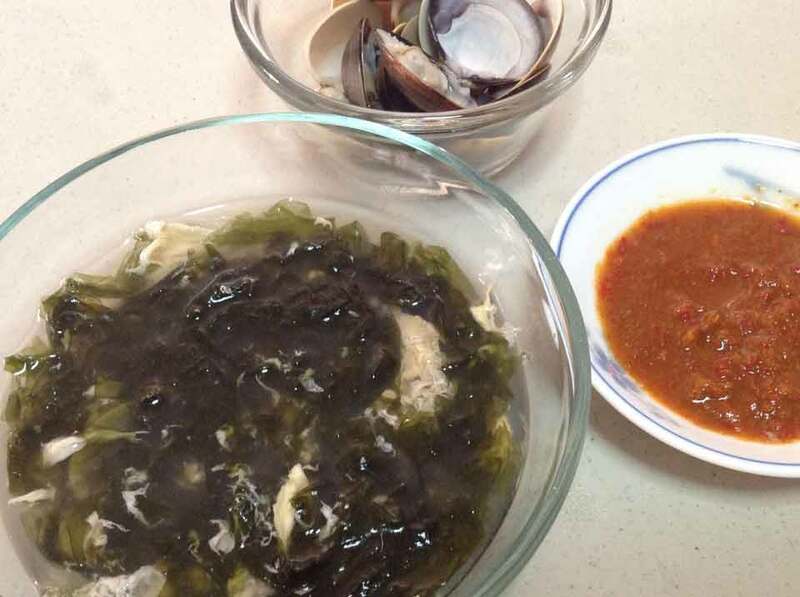 Throw away the last portion of clams stock if there are traces of sands. 4. 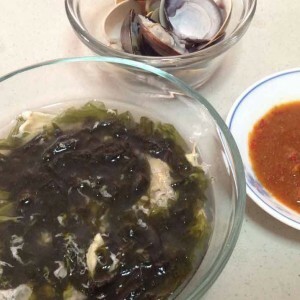 Bring the clams stock to boil, add in seaweed, soya sauce, sesame oil and mushroom seasoning. 5. 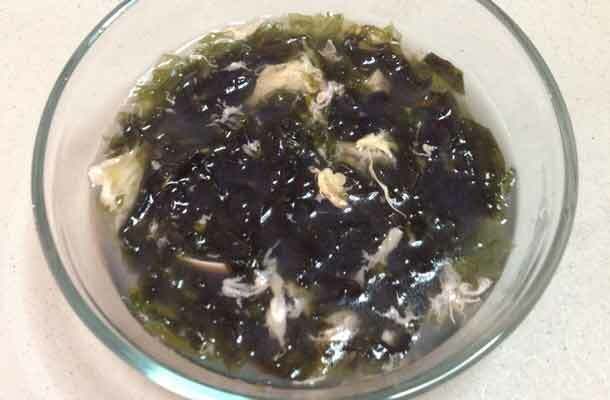 Off the fire, add in beaten egg and use a chopstick to stir the egg. Cover the wok for 2 minutes.